The CONTROL-TECH 2018 expo has gone down in history as a success! 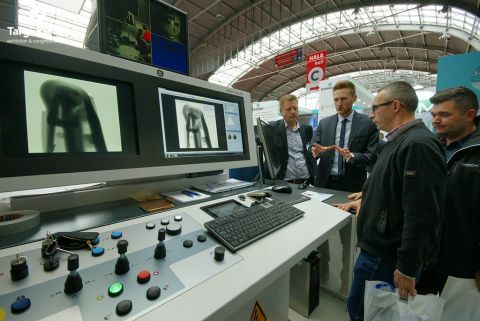 The last week of September was marked with the specialist Trade Fair of Industrial Measurement Technology and Non-Destructive Testing CONTROL-TECH. For years the event has been extremely popular in the industry - this year 48 companies from 6 countries showcased at the CONTROL-TECH. The CONTROL-TECH expo is a part of the events cluster held under the banner of the "Industrial Autumn". Kielce exhibition and congress centre hosted manufacturers of measuring instruments and appliances , special use machines and non-destructive testing apparatuses already for the twentieth time. The presentations were enhanced with the useful software systems for computer-aided quality assurance systems as well as and opto-electronics. Today makes the history of METAL Expo - METAL is truly the most important event of the foundry industry in Central and Eastern Europe. Kielce exhibition and congress centre graced with the presence of several hundred participants of the 73rd World Foundry Congress. High temperature test stand for testing liquid magnesium and its alloys properties in contact with refractory materials, Foam Ceramic - Carbon Filters for Metal Alloys Foundry Industry, brackets for BMW door reinforcement - these are just some examples of the award winning products at the Industrial Autumn 2018.